For a special baby shower soiree, go Parisienne! 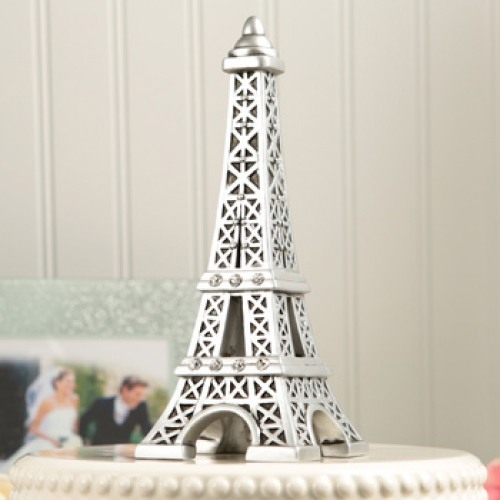 A Paris themed "le bebe" shower is a stylish way to celebrate mom-to-be, and this Eiffel Tower cake topper is tres chic indeed! It's the perfect choice for a shower that pays tribute to the city of lights, and it will continue to sit pretty on your shelf for years to come!